At Precision Dental Group, we’ll help you achieve the beautiful and healthy smile you desire and give you the personalised best dentist service you deserve. As the leading Gold Coast Dentist boutique practice in Bundall, QLD, we aim to create the ultimate experience for all our patients. Whether you need cosmetic dentistry, general or implant dentistry services, we are committed to ensuring you receive premium care every time. We have the expertise to find a solution to any dental problem. At Precision Dental Group, we can resolve all our patients’ dental problems, either through our practice or, in very rare cases, by referring to a nearby specialist. We focus on the big picture of health. This means we think about long-term solutions and preventative measures that will not only improve your dental health but have a flow on effect to your overall well-being. We treat you as an equal partner in your dental health. We’ll listen carefully to your concerns and then explain things in a way that’s easy to understand. Together, we’ll agree on a treatment plan that will give you the best quality in dental care. We have a dynamic team that works towards a common purpose. Our priority is to deliver high quality and efficient dental care in a friendly, relaxed environment so there’s minimal disruption to your busy lifestyle. We use the latest advances in dental services. As leaders in cosmetic dentistry, we keep up to date with the best techniques and technologies to create stunning smile makeovers. We also put a lot of thought, care and artistry into each treatment we offer. We are a family-friendly practice. While our primary focus is on our adult patients, we like to support families as a whole. Our team will give your young children a great start to their dental care. We believe that when kids have a positive and fun first-time experience, it will help set up good habits throughout their life. Make sure to ask us for more details about our special gap-free Dentistry cover for kids under 5. 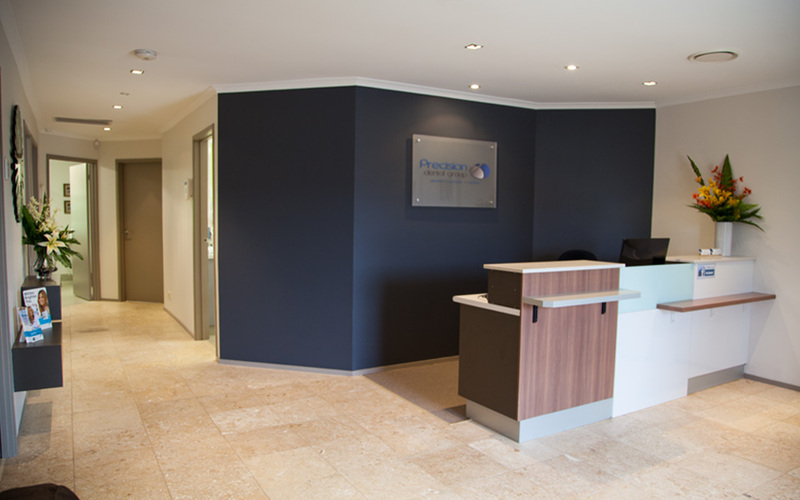 At Precision Dental Group, we’re delighted to be able to offer you a personalised boutique service combined with the very best in a variety of dentist services on the Gold Coast. On behalf of Dr. Tom te Kloot and our whole team, welcome.